It’s not something that people talk a lot about but I can think of many reasons to have a “quiet room” in a home. When most people think of being in a peaceful room in their home it usually means a place where they can relax, watch a movie or read a good book but no one ever thinks of the opposite situation. 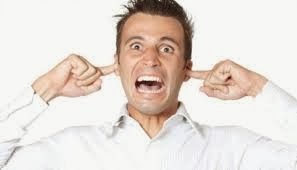 The truth is that even in a well insulated home there can be a lot of noise pollution escaping to the outside as well. That new surround system that you just bought is great to watch the latest DVD’s but what about the neighbors? Perhaps your teenage son has decided that it’s time to start the next big rock band in the basement (or garage) and what about those exciting Sunday night poker games? None of us intend to disturb our good neighbors but sometimes it just can’t be helped. My personal favorite is to turn the radio up loud when it’s cleaning time. It just makes household chores a bit more tolerable. Today there are many ways to keep the noises in your home right where they belong and some of them are very easy to do. Small things such as adding area rugs to hardwood floors and bookcases in a room will absorb quite a bit of the sound but if you take your quiet seriously one great trick is to actually use double walls inside of your home. Insulation in between the double walls will absorb even more sound and you will have a room that is very close to studio quality sound rooms. And finally, if only the absolute best will do there are companies out there that specialize in commercial grade wall panels and other items that are guaranteed to eliminate the loudest noises from making it outside to the great outdoors. It all depends on your needs but I think that a very quiet home study, media room or even home office definitely has its merits and we could all use a little extra peace and quiet.